Pioneers in the industry, we offer Synthetic Rubber Products such as Synthetic Rubbers, Synthetic Rubber Hose and Synthetic Hose from India. 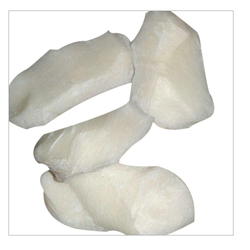 Keeping in sync with the changing market demands, we have been actively manufacturing, supplying, wholesaling, trading, retailing and exporting a wide array of Synthetic Rubbers. The rubbers we offer are made at our in-house manufacturing unit, which is furnished with advanced machines and equipment. In order to provide ease of payment to the customers, we accept payment via easy transaction modes and terms. 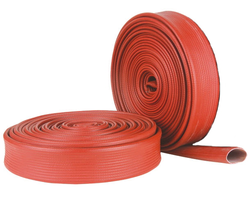 Counted among the eminent manufacturers, suppliers, exporters, wholesalers, traders and retailers of Synthetic Rubber Hose, we are catering to demands of international customers. Manufactured in tandem with the international quality standards, these hoses are ensured for their high tensile strength, durability and abrasion resistance. Furthermore, to be sure of the complete seamlessness of these products, we check these hoses on strict quality regimes. Driven with perfection, our firm is counted among most promising manufacturers, suppliers, exporters, wholesalers, traders and retailers of Synthetic Hose. Made using premium-grade raw material, these hoses are ensured for their compliance with the defined industry norms and standards. Ideal for usage in different industrial applications, these hoses are demanded their abrasion resistance, tough construction and longer functionality.